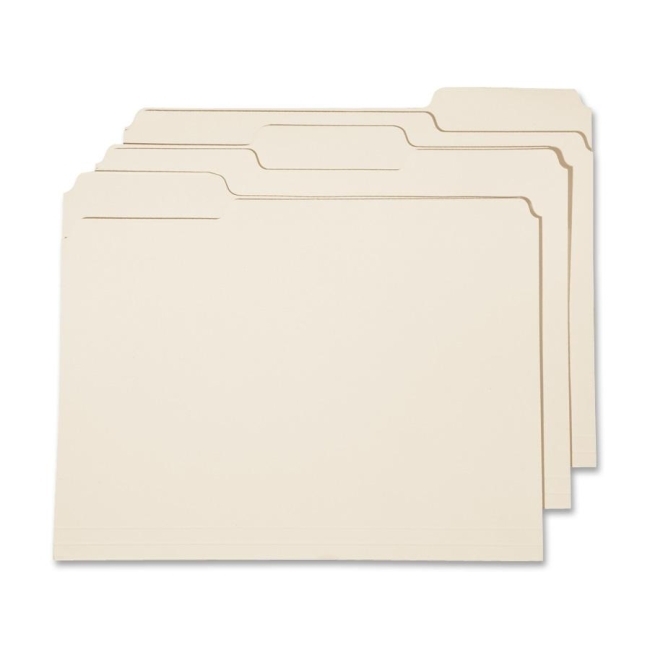 File folders feature reinforced top tabs that are tear-resistant and durable. Two-ply tabs are 1/3 cut in assorted positions. Bottom is scored for 3/4" expansion. File folders hold letter-size documents and are made of 11 point stock with 30 percent post-consumer material.